What are Plumbers, Pipefitters and Steamfitters and What Do They Do? household appliances or other types of systems in residential or commercial buildings. They might also work on pipe systems contained in the ground. They must review building designs or underground plans to determine where pipe systems are or that need to be installed. 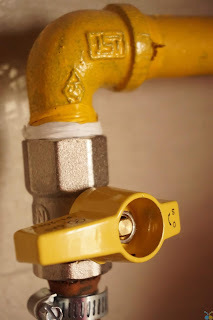 When new piping is installed, they determine how much piping and materials are needed and connect by properly, cutting, fitting and sealing the piping. What Skills and Abilities Do Plumbers, Pipefitters and Steamfitters Need to Have? Knowledge of construction processes should be possessed. The ability to operate different types of hand tools and equipment is necessary. The ability to read designs and plans is also necessary. Knowledge of processes of liquids, gases and solids is needed. Dexterity should be possessed, as well as balance and stability. Good vision should also be possessed. Troubleshooting skills and the ability to make good decisions are necessary. The ability to convey thoughts and ideas into words or actions are needed as well. How Much Do Plumbers, Pipefitters and Steamfitters Make? Statistics show that in May 2017 the average annual income was $57,070 for plumbers, pipefitters and steamfitters. In May 2016, the average annual income was $56,030. What’s in Store for Plumbers, Pipefitters and Steamfitters? An increase of 15.6 percent for employment was expected between 2016 and 2026, according to statistics. How Many Plumbers, Pipefitters and Steamfitters are Self-Employed? In 2016, 12.6 percent of plumbers, pipefitters and steamfitters were self-employed, per statistics. What Training or Experience Do Plumbers, Pipefitters and Steamfitters Need? An apprenticeship may be required through on-the-job training; formal training and a state license may also be required.